I am no stranger to the pizza delights served by A25 Pizzeria, having previously attended dinner events at the South Yarra and CBD branches. Their pizza bases are one of my favourites in Melbourne thanks to their beautifully balanced chewiness to doughiness to crispiness, topped off with a gorgeous char from the oven. But on this particular occasion, my taste buds were introduced to some of their vegan items that were recently added to their menu. Pizza with vegan cheese… Vegan. Cheese. Again, setting aside all judgement, I ended up pleasantly surprised by the taste of our vegan orders: the vegan pumpkin arancini balls and patata pizza. Starting with the arancini balls, the pumpkin and Arborio rice filling made for a tasty sweet blend, encased in a delicate and golden crumb. The balls were good, the Napoli sugo they were swimming in was better. Such immense flavouring captured in the sugo, which we happily mopped up with pizza crust and the Italian chilli fries. As for the patata pizza, the flavours were nailed to a T. The vegan cheese had a distinct texture, noticeably lacking that stretchiness of non-vegan cheese. But was tasty nonetheless, and an excellent option for the vegans out there. And of course our non-vegan orders were bellissimo. You really can’t go wrong with the perfect simplicity of their bufala pizza, combining quality ingredients, a sensationally creamy mozzarella and their pizza base. If you love your wood fired pizzas and have yet to try out A25, do! This applies to both vegans and non-vegans alike. 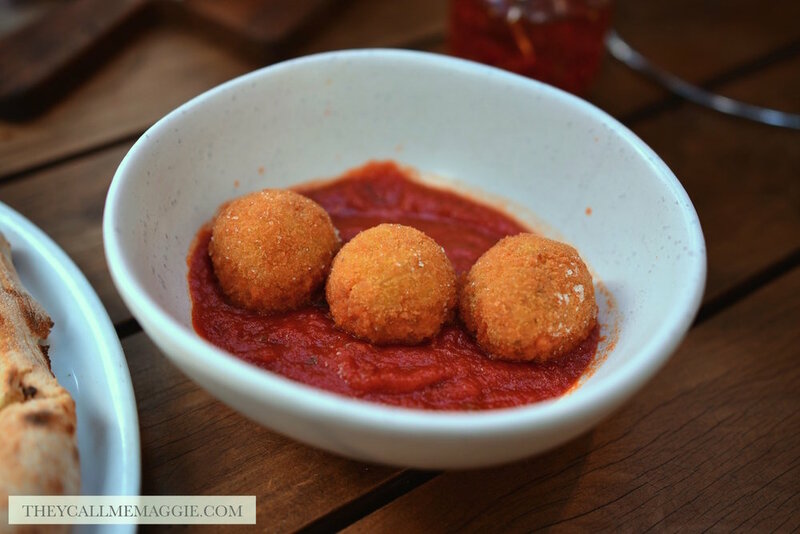 Vegan pumpkin arancini balls - with Arborio rice, roast pumpkin and Napoli sugo. Italian chilli fries - with Arrabiata salt and cacciatone ketchup. Bufala pizza (normal) - with imported buffalo mozzarella, tomato sugo, fresh basil, and EV olive oil. Vegan patata pizza - with vegan mozzarella, sliced potato, rosemary, and sea salt. 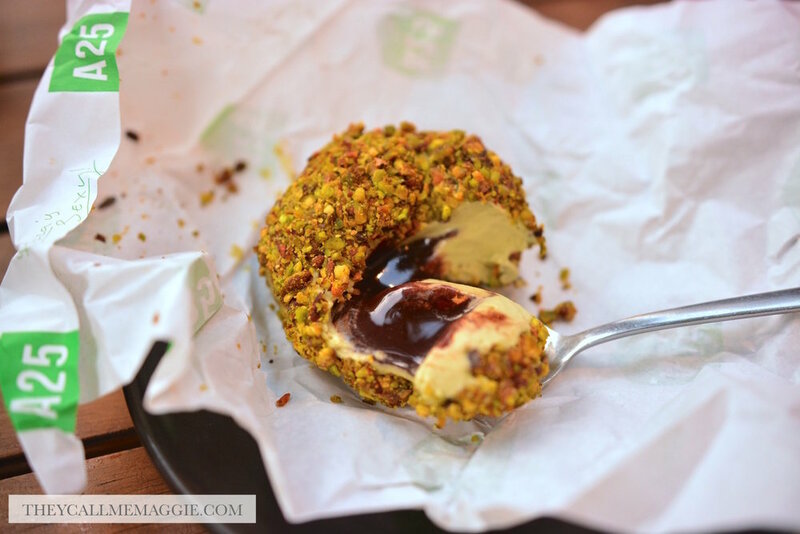 Pistachio ice cream tartufo - with rich chocolate centre. Disclosure: I dined as a guest of A25 Pizzeria. All opinions expressed in this post are based entirely on my experience and observations made during the time of my visit.